THE VERY BEST IN WHAT THEY DO! I’m a patient with a significant number of complex and chronic health issues and absolutely need to work with doctors who are THE VERY BEST in what they do. This definitely describes Dr Chris Serafini. As anyone with chronic or serious health issues knows, it can be extremely difficult to find a doctor that you can truly trust and believe in. By my second visit he had already completed an in depth analysis of many of my worst issues, including a detailed X-ray review, and was able to determine the cause of several long term issues that no other doctors have ever even considered. During my time with Dr. Serafini, he has always been extremely professional, empathetic, kind, caring, honest, and just plain COOL! He utilizes the latest top of the line technology, tools, and equipment, to match his superior medical training and expertise. From the moment you first enter the office, the positive healing energy is so strong, it’s practically palpable. Whether interacting with Patti or Sherrie at the front of the office, or Brian, the chiropractic assistant who has years of experience that anyone with serious issues can relate to, and who plays a big role in the healing process, you always feel taken care of by a warm and empathetic staff. One of the most amazing experiences I have had from the very beginning has been interacting with the other patients in this office! As a new patient, everyone I spoke with couldn’t wait! to share their positive healing experiences with me, including inspiring stories about getting better, and how much their lives have changed in overwhelmingly positive ways since seeing Dr Serafini. This is an office clearly filled with people that are healing and improving their lives. If you ever needed any confidence building about whether you are seeing the right doctor, then this would be it! Seeing a doctor of this caliber is the reason I am willing to travel 2 hours from Tucson to Scottsdale for each visit. Dr. Serafini is without a doubt a rare doctor that is the very best in his field. MY RANGE OF MOTION IS ALMOST 100%! Great experience! I came in with severe shoulder pain and about 50% range of motion. After a few treatments, my range of motion is almost 100% with very minimal pain. Staff is very accommodating to fitting me in with my schedule. Highly recommend! DR. SERAFINI AND THE STAFF ARE SIMPLY THE BEST! Dr. Serafini and the staff are simply the best. I have been going to this facility after months of pain. I went to another chiropractor and it almost turned me against chiropractic care all together. Although, I still have more work to do, I feel so much better than I did when I walked thru those doors. Brian is so nice and really makes me feel relaxed and has given me home stretching that alliviates the stiffness I feel. Patty and Sherri are very sweet and friendly. I highly recommend Dr. Chris Serafini and Valley Spinal Care. I’m looking forward to my continuating relief. SEARCHING FOR A BRIMHALL DOCTOR …IMPRESSED! I had been searching for a Brimhall doctor to take my father for knee and back issues and located Dr Serafini via the Brimhall website. While my father and I live in the West Valley, I was impressed with Dr. Chris’ credentials enough to travel to Scottsdale. I appreciated the doctor’s thorough pre exam, questionnaire and full body XRays. Dr.Chris was able to help my father return to his morning exercise routine.As a result, I decided to visit with Dr. Chris regarding some of my ongoing neck and lower back pain. Again, I appreciated his thorough and “whole body” approach concerning my issues. He has helped immensely in regaining movement, in addition to helping with a knee issue I developed. His treatments, coupled with Brian’s PA and education / training for at home maintenance has been essential in moving towards an on going wellness program for me. I continue to be impressed with the front office ( Sherrie/ Patti ), Brian and Dr. Chris’ professionalism, integrity, wisdom and kindness; very hard to find these days.Thank you! DR. & STAFF DO A GREAT JOB! I have been going to VSC w Dr. Chris for over 15 years. They do a full analysis of pain including few tests. He takes his time in asking a lot of questions. They have physical therapy & updated equipment the Dr. & staff do a great job in explaining the process and preventative maintenance with education & workshops. Thank you Dr Chris! I ALWAYS FEEL GOOD WHEN I LEAVE! Love Valley spinal – I go for maintenance mainly now. Also good wellness knowledge. I always feel good when I leave. They have sports/therapy and massage – good tools. Muscle testing, laser therapy… Good people. HIGHLY RECOMMENDED DR. SERAFINI AND HIS WONDERFUL STAFF! I started seeing Dr. Serafini in early May 2015 for foot/ankle pain, and some lower back discomfort. My primary concern was the significant foot and ankle pain I was still experiencing after an Aug. 2014 surgical repair of a broken ankle and ruptured tendons. I’m an active person who loves to hike, mountain bike, strength train, and practice yoga and pilates, and I have already been through an extensive period of recovery and physical therapy, so anything that continues to keep me off my feet is profoundly frustrating to me. At the time I made my first appointment with Dr. Serafini, I was desperate for a solution that would get me back to my normal activities. I had already consulted my orthopedic surgeon, who simply suggested more stretching, which seemed to aggravate my foot and ankle pain more than help it. Dr. Serafini has been treating me for three months as I write this, and my foot/ankle and back are hugely improved. I appreciate his thorough assessment techniques and his careful approach to treatment. He’s a very good listener and he adjusts his treatment methodology based on how I’m feeling on a particular day, and where I am having pain or soreness. I was so impressed that I invited Dr. Serafini to come into my office to give a wellness presentation–he’s an energetic speaker and was a huge hit. It was a very informational hour and time well-spent. I highly recommend Dr. Serafini and his wonderful staff! INTENSITY AND FREQUENCY OF HEADACHES HAS GREATLY DIMINISHED! I began seeing Dr. Serafini last Fall 2014, reluctantly, as my experience with chiropractic care over the years had been fruitless. I have been living with headaches most of my life and have sought various means of controlling them from medication to acupuncture only to give up hope of a solution. I noticed a sign on his office for Trigger Point Workshops and I remembered having had some success in the past with trigger point work. I’m very glad that I took a chance and tried again. I don’t know exactly how Dr. Serafini does what he does, though he certainly makes every effort at thoroughly explaining how he does it. I just know that he has helped me. I cannot say that I am headache free but the intensity and frequency of the annoyance of headaches has greatly diminished. I also brought my son to see Dr. Serafini. He had injured his shoulder in a fall. Orthopedic doctors had reached the point of recommending surgery for him when we decided to try Dr. Serafini. It wasn’t easy or quick, but my son’s shoulder has normal range of motion now without surgical intervention. Dr. Serfini uses techniques and therapies that are uniquely intuitive and effective. That’s the part I don’t understand but I don’t have to know how a computer works in order to use it effectively. I can now say that chiropractic care works. I never thought I would say that. And I must also compliment him on his staff. Sherry and Patty are always helpful and cheerful. And I can’t say enough about Brian who manages the physical therapy part. Again, I’m not sure how he does what he does, but it works and he has the same empathetic awareness of where the problem is. He has an easy going, engaging manner that especially put my son at ease. If other chiropractors have fallen short or your expectations, I recommend Valley Spinal Care as the last chiropractor you will ever need. ONLY CHIROPRACTOR THAT CAN HEAL YOUR ACHES AND AILMENTS AND KEEP YOU PAIN FREE! …Dr Chris has bent over backwards to help my family and find solutions to all 4 of my family members to be able to be treated! Dr Chris adjusted my newborn twins when they were 5 days old and came to me, as I was unable to come to see him at the time. He is SO knowledgeable and precise on his treatments, I believe he is the ONLY chiropractor in town that can heal your aches and ailments and KEEP you pain free. Other chiropractors do unnecessary adjustments, which don’t hold, and will leave you needing to go back again and again. Dr Chris’ form of treatment will help your adjustments last and improve many other aspects of your health and wellness. 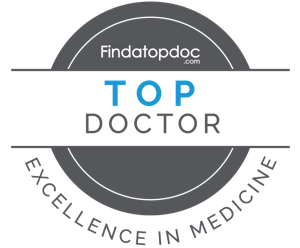 No other doctor is as thorough and so invested in your overall health and that is PRICELESS. He is worth every penny and as far from “money hungry” as a person can get. HE IS THE ONLY CHIROPRACTOR I WILL SEE! Even though I don’t live in AZ anymore, I always go see Dr. Serafini when I’m in town. In fact, he’s the only chiropractor I will see! He is professional and courteous, and most importantly, he knows how to get my body feeling good again. I’m glad I have found such an excellent chiropractor who I can depend on!! I WENT IN BARELY ABLE TO WALK AND AM FULLY ACTIVE AGAIN! Dr. S is the best chiropractor I have ever seen and with over 50 yrs of chiropractic help.I went in barely able to walk and am fully active again. He knows his anatomy and keeps up with his ever changing field.. He has awesome PT and office help. If I didn’t have great chiropractic help I would wind up needlessly on a surgical table. Give him a chance and he can change your life! Sometimes you don’t know what you don’t know. DR. SERAFINI IS THE BEST OF THE BEST! Dr. Christopher Serafini is the BEST of the BEST. I have been to many other doctors who were chiropractors but never have had the results I got from Dr Chris Serafine. Seeing the xrays of my lower back and neck and how they needed treatment, after 20 years of running an office and sitting in front of a computer was an eye opener for me. I am amazed at how much better I feel. I do deep water and shallow water aerobics on a regular basis and now with a greater ease. He truly changed my life for the better. He takes the time to discuss your condition thoroughly makes sure you understand what will be accomplished with the treatments. He has a wonderful staff that will bend over backwards to help in anyway they can. HANDS DOWN THE BEST CHIROPRACTOR I HAVE EVER SEEN! Dr. Chris Serafini and his staff are the most professional and incredibly welcoming staff I have ever experienced anywhere in the medical profession. Dr. Serafini not only gives you the gift of being pain free but he also gives you the knowledge and the tools to live a pain free and healthy lifestyle. He is HANDS DOWN the BEST chiropractor I have ever seen. CHANGED MY LIFE! I AM FOREVER GRATEFUL! I was referred to Dr. Chris after 26 years of dealing with chronic pain due to 7 different things diagnosed as being wrong with my back and neck. I had already tried physical therapy, acupuncture, trigger point injections, Botox and spinal injections, pain patches, pain meds and even considered surgery over the years, but nothing seemed to help. I had been to a traditional chiropractor years ago, but I had not had any relief, in fact, I had developed a fear of chiropractors because of my experience. Adding yoga and other forms of exercise as well as massage therapy along with certain pain meds did help somewhat, but I still struggled with pain each day. Finally, my massage therapist referred me to her chiropractor… Dr. Chris. She said he was “different” than the traditional chiropractor. I read about his approach ( Brimhall’s Steps to Wellness and the Gonstead Technique ) and decided to give him a try. I’m glad I did! Within a short amount of time, I began to feel improvement. I began to feel relief for a couple of days, then a few days, then for a matter of weeks. I couldn’t believe that Dr. Chris’ work on my scar tissue and his focus on some of my other issues could have such a positive impact on how I felt! I never thought I could feel this good!!!!! Dr. Chris and his staff are genuine Wellness facilitators…they are professional and truly caring. They go “above and beyond” on a consistent basis. I am so in awe of what Dr. Chris has done for me that I have referred friends and family to him. They also have had a positive experience. Thank you Dr. Chris! I can’t tell you how much you have changed my life. I am forever grateful! I WAS ABLE TO RUN A 13.1 MI MARATHON BECAUSE OF HIM! I have had pain in my left leg that has stopped me from walking and running exercises..Dr. Chris has been the only one to help me….he is the greatest!!! I am now able to run and walk. I would have given up if he had not helped me. His office staff is amazing and in general a great experience…I was able to run a13.1 mile marathon in January because of him!! FINALLY ABLE TO FIND OUT EXACTLY WHAT WAS CAUSING MY PAIN! Dr. Chris has been great. Finally I was able to find out exactly what was causing my pain. He has been helpful in reducing the pain in my neck and arm. I would recommend Dr. Chris to anyone who has experienced neck or back pain. Thanks! MIGRAINES…I’M VERY EXCITED TO HAVE SEEN THE RESULTS THAT I DID! I was very pessimistic about going to a chiropractor. However, after failing to find relief from the “traditional” doctors for my migraines and being one step away from a nerve ablation I decided to try out Dr. Chris after he made a presentation at my work place. I was getting up to 3 migraines a month (at my worst). After 3 months of treatment from Dr. Chris I’ve had 1 migraine (at about 1.5 months in from beginning treatment). I’m very excited to have seen the results that I did. I’m glad I made the choice to have Dr. Chris work on me. I did have some issues dealing with the billing staff when it came to them dealing with my insurance company and setting expectations for what they said was covered costs & what was out of pocket costs. This being the only reason why I did not rate an excellent. It all worked out in the end however, and as I said before, I am glad that I had Dr. Chris perform the work on me that he did. DR. CHRIS IS VERY EXACT OF WHAT HE DOES! When I first started seeing Dr. Chris, I can honestly say I was very apprehensive. I have been to at least 8 other chiro’s and I thought only two knew what they were talking about but with Dr. Chris he is very exact of what he does. It was not about adjusting everything. He had a plan to get me better and it even gotten me back in the gym. Now we are working on a wellness program to get me healthy. PHYSICIAN SEES & REFERS DR. SERAFINI TO HER PATIENTS! As a physician, I can recognize and appreciate quality care. That is why I receive chiropractic care from Dr Chris Serafini, and refer my pain patients to his office. Dr. Serafini and the staff and Valley Spinal Care excel at treating both acute and chronic conditions. They also provide superb patient education, rehabilitation, strengthening exercises, and nutritional support to promote health and wellness. The staff is very nice and the office is conveniently located. Thank you for all that you do! CERTIFIED PERSONAL TRAINER TRUSTS DR. SERAFINI FOR HERSELF AND HER CLIENTS! I would like to commend Dr. Chris Serafini on his vast knowledge of chiropractic care and his ability to improve the health of his patients. As a personal trainer, I often see things such as muscular imbalances, impaired nerve function, postural problems, joint dysfunction, digestion and sleep problems, adrenal dysfunction, and metabolic or hormones inadequacies. Any of these conditions can affect the results I am able to deliver to my clients. With the help and expertise of Dr. Serafini’s treatments, ALL of the clients I have referred to him have not only felt better and improved several aspects of their health, but in turn seen greater results from my training as well. Even as my client’s “symptoms” disappear, they continue to get regular treatments from Dr. Serafini as part of their approach to maintain wellness. They learn to view chiropractic care as a “tune up” just as one would do regular maintenance on their car to keep it running optimally. Remember, symptoms are our body’s way of telling us something is out of balance. We want to stay in good balance BEFORE symptoms appear. I trust Dr. Serafini with my own body and that of my client’s. It is difficult to find a chiropractor that you know will have your best interest at heart. Dr. Serafini is true health advocate and professional. I would recommend him to anyone!